Do you have a missing tooth? If so, one of the best options to replace it may just be a dental implant. A single missing tooth can have a pronounced effect on both oral health and the appearance of your smile. Before the advent of dental implants, a dental bridge was typically the ideal treatment. Today, a dental implant makes it possible to replace the missing tooth with permanent results that look and feel natural. What are the benefits of single tooth implants? 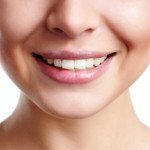 Is a single tooth implant or a dental bridge better for my needs? While a dental bridge is an effective missing tooth replacement procedure and can be the ideal treatment for some patients, a dental implant may be the better option for others. A dental bridge requires an artificial tooth to be supported by the adjacent natural teeth – this typically necessitates some alterations of the tooth structure in the natural teeth. A dental implant avoids this concern as it is not dependent on structural support from surrounding teeth. An implant is designed to actually become a part of your mouth, much like a natural tooth root, and provide stable, immovable support for a customized dental crown. Candidates for single tooth implants may have an adequate amount of jawbone density in the area of the missing tooth to provide a secure foundation for the implant. Once our experienced dentist, Dr. Harold A. Pollack, has completed an oral evaluation and x-rays have been taken, he can talk with you about your options and determine whether a single tooth dental implant is the best treatment for your needs and goals. Learn more about dental implant candidates. What does the single tooth implant procedure involve? After your customized treatment plan has been created, an oral surgeon or periodontist will carefully place the dental implant in the area of the missing tooth. Placement is based on a meticulous analysis of the area in order to provide results that fit as comfortably and naturally as possible. The implant is composed of a durable titanium post that will be inserted through the gum and anchored to the jawbone. Over the next few months, the implant should fuse to the jawbone and become a permanent addition to your mouth. Once this process is complete, Dr. Pollack and our dental team will affix a custom dental crown on top of the implant. The crown is designed for the best possible fit and appearance, and will be color-tinted and polished so that it blends well with surrounding teeth. Once the process is complete, you will have a beautiful new tooth that looks and feels like an original tooth! The results for single tooth dental implants are known to last a lifetime with the proper care. These procedures are designed to provide patients with permanent alternatives to treatments such as dental bridges and traditional dentures. As long as you take good care of your teeth, gums, and maintain regular hygiene appointments, your implant could last for decades. If you would like more information on single tooth dental implants, or if you would like to schedule an oral exam with Dr. Pollack to find out if you are a candidate for this procedure, please contact us today.